Ever find one size is too small and the next size is too large? That's because the chances of every guy fitting perfectly into small, medium, large, and extra large are next to nothing. What if there was a brand that took into consideration our body differences and offered 75 sizes? There is. The clothing industry has known it has a big problem for a while now. Up to half of all clothes purchased online are returned due to improper fit. Why? Because the current sizing system is broken. Bodies don’t come mass produced, and the vast majority of human beings don’t fit into one of 5 industrial clothing sizes, S, M, L, XL, XXL. You’ve probably experienced it yourself: Getting a larger collar size just right means the sleeves are way too long. For tall guys the sleeves are never long enough. And if you have wide shoulders but a smaller waist, the body is always billowy. Stantt set out to fix these two problems – a high rate of returns and five-sizes-fits-no-one well shirts – with one technology: 3D body scans. What do virtual reality gaming, noninvasive medical imaging, and the next generation of stylish button-ups have in common? They’re all made possible by 3D body scan technology. 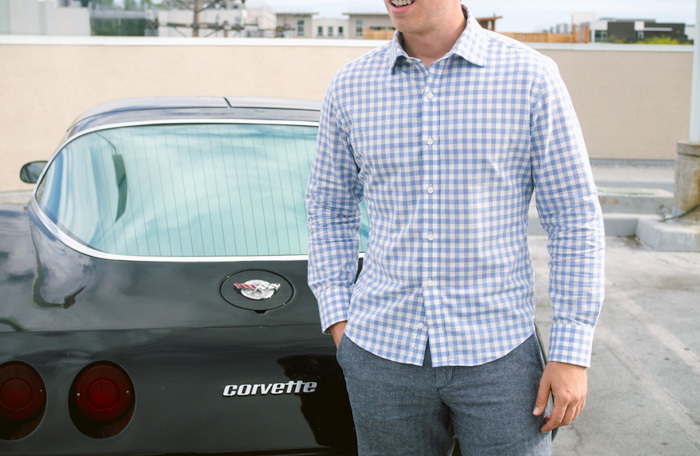 In true silicon valley form, Stantt has leveraged this tech – which they call DataFit™ – to create custom dress shirts, made to order for your body and shipped to your door in a week. The result: they offer both dressy and casual button-ups and t-shirts and polos in 75 sizes, and achieve proper fit in 95% of their customers. So we asked them … how? Stantt started by assembling a massive database of 3D body scans – 10,000 of them, to be exact – that enabled them to identify body type trends in men across America. Using these profiles, Stantt created 75 distinct sizes of shirt that reflect the real bodies of actual guys. Keep in mind, these are data-driven body profiles, not a system designed for the benefit of large manufacturers. Using a proprietary algorithm, Stantt finds which of their 75 sizes best fits you using three key data points: chest, waist, and sleeve. Another thing this technological edge allows Stantt to do is get shirts to their customers fast. Like, really fast. Most made-to-order custom shirts take 3 – 6 weeks. No dice if you have an important function coming up. Stantt shirts arrive in 7-8 days, a first in the industry. Stantt started out making dress shirts but have since expanded their line to include casual button-ups, short sleeve button-ups, tuxedo shirts, polos, and t-shirts. And the Stantt system means once you have your size it translates to any style of shirt in the line-up. This is excellent news, and removes the issue of improper fit between different styles of shirt from different manufacturers. Every brand sizes their midsection, arm holes, length, and collar a little differently than other shirt makers. The result? 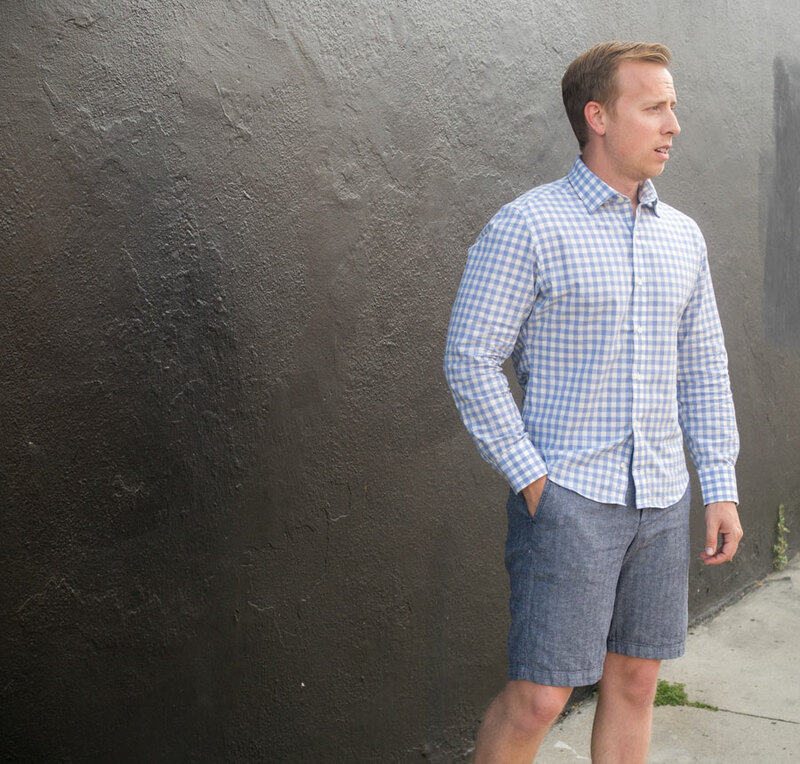 It's possible to be swimming in a short-sleeve shirt (and looking like a kid from “The Sandlot”) from one manufacturer and stretching a button-up to fit around your chest and arms from another maker – even though, by the tag, they're the same size! A Stantt-fitted shirt can fix that. Once you have a proper fit in one style, you have it in all styles. Unless, of course, you embark on a major project to chisel up. Honestly, we wouldn’t keep talking about Stantt if we didn’t value what they do and as part of our ongoing relationship they’re offering Primer readers 20% off their next order with code PRIMER20. So grab yours today! Click here to check out Stantt! These are all great looking shirts but I just can’t muscle myself to spend that much on just 1 shirt when I know there are so many other good quality shirts out there for half that amount. Either way…you look good in those shirts! Same here. I’ve had to shop around hard to find shirts that fit me well, but I’m still curious how much better these would fit, if any at all. However, the price is just too much to justify even trying one. HUGE fan of Stantt! Great to see them getting publicity. Yes, $98 is relatively high for the majority of what’s promoted on Primer, but if you don’t fit perfectly off the rack into a S/M/L, or spend extra $ to get sleeves tailored, this is well worth the price. I bought one off Kickstarter a few months back and it’s the most perfectly fitting shirt I’ve ever owned, so I bought 3 more. Free shipping and returns so no loss if you don’t love it. I agree they’re an investment, but that’s exactly how I view it. I spent 300 (!!!) on a Gore Tex pro shell. That was 8 years ago. Went in on the Kickstarter. It is the 2nd best fitting shirt I have (the best is a custom ratio) . Just splurge and do it you won’t regret it.